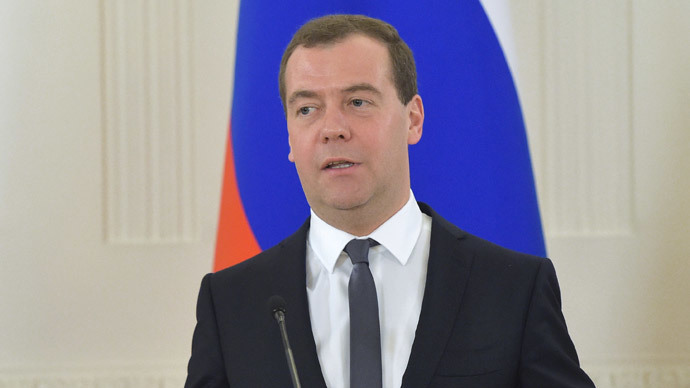 Russia’s currency will continue to free float, despite the major damage incurred by sanctions and oil, Prime Minister Dmitry Medvedev said, supporting the Central Bank’s decision made in November. “The government will not reject the ruble’s free float,” the Prime Minister said at the sixth Gaidar Forum, being held in Moscow January 14-16. “Of course, you can freeze the currency, but this would revive the ‘black’ currency market … which would mean the destruction of the market,” he said. The Prime Minister added his support to the Central Bank, and said it had taken the appropriate measures. Before the free float switch, Russia was spending billions of dollars of its foreign currency reserves propping up the ruble. In 2014 it spent nearly $80 billion defending the ruble. “We will not continue to eat away at our currency reserves, and we have enough economic tools to ensure the stability of the ruble,” he said. As of December 26, the Central Bank of Russia reported it has $388.5 billion in foreign currency reserves. The stockpile can be used to defend the ruble, but will also serve as a buffer to pay off any big debts. Russia has essentially been cut off from Western financing after the introduction of sanctions. “Russia will fulfill its international debt obligations. Our country is a reliable borrower, lender, and supplier,” the Prime Minister said. Russia’s Central Bank introduced a free float policy for the ruble on November 10, handing over control to market forces and halting automatic financial support of the currency. After the switch, the ruble took a deep dive, hitting rock bottom a month later on December 16, when it lost more than 20 percent in a day. Overall in 2014 it lost 46 percent against the dollar. The country defaulted on its debt in 1998, and President Putin came to power shortly thereafter, when foreign currency reserves stood at only $24 billion. Under his presidency, boosted by high oil prices, reserves have ballooned, reaching an all-time high of $570 billion before the 2008 financial crisis. The Gaidar Forum is one of Russia’s top annual economic and political conferences. It is named after the late Egor Gaidar, Russia’s first finance minister after the collapse of the Soviet Union who was behind the ‘shock therapy’ liberal economic policies during the early 1990s as the country transitioned to a market economy.